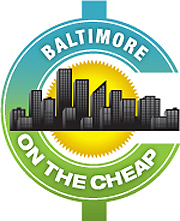 Enjoy FREE general admission to Baltimore’s Reginald F. Lewis Museum and The Maryland Science Center and over 200 other museum and attractions throughout the U.S. thanks to Bank of America’s Museums on Us Program. On the first full weekend (Saturday and Sunday) of every month in 2019, over 200 cultural institutions around the country offer FREE admission to Bank of America, Merrill Lynch or U.S. Trust credit or debit card holders. You just need to show your card and a valid photo ID for one free general admission. A learning center for all ages, Maryland Science Center offers three floors of hands-on exhibits and interactive demonstrations all designed to exercise imaginations and challenge the mind. The Center also features live shows, a planetarium and an IMAX theater. Admission is always free for members, children 6 and under, and Maryland public school teachers. The largest African American museum on the East Coast, the Reginald F. Lewis Museum brings Maryland to the world through its large permanent collection, and the world to Maryland through its dynamic and educational special exhibitions. There are more than 200 cultural attractions across more than 120 cities in 35 states across the country participating in the Museums on Us program. These institutions include art museums, planetariums, presidential centers, history museums, science centers, sports museums, botanical gardens, zoos, and more. Find participating museums in other cities here.